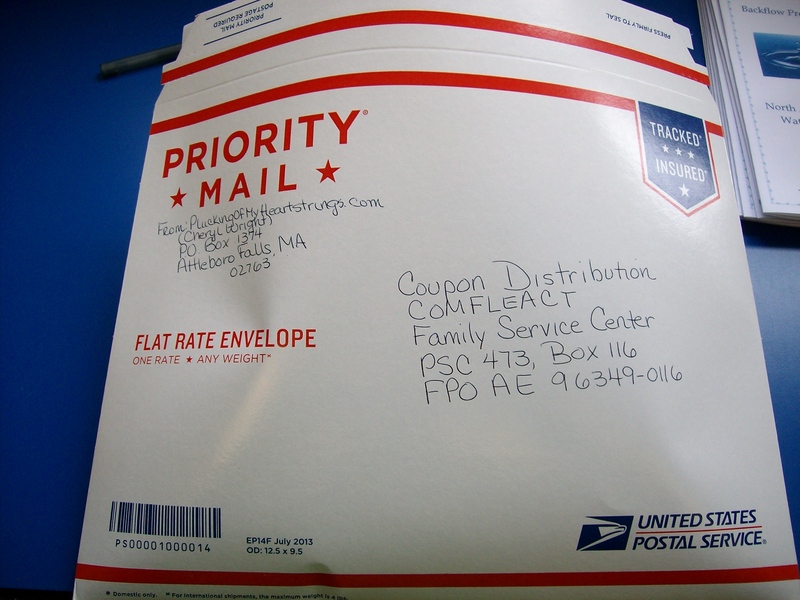 On August 4, 2015 another package of expired coupons was sent to our adopted base in Yokosuka, Japan. These expired coupons totaled $2,258.55! THANK YOU to those who donated coupons. It’s a great feeling to know we are helping overseas military and their families in this small way. This entry was posted in All, Military, Overseas Military Coupon Program and tagged adopted military base, coupons, coupons for the military, don't throw away expired coupons, donate expired coupons, expired coupons, help military families, help the military, manufactures coupons, military, navy base, overseas coupon program, what to do with expired coupons, Yokosoka Japan. Bookmark the permalink.